Infertility affects about 10% to 15% of couples. The factors that can affect fertility include age, body weight, diet, exposure to tobacco smoke, stress and exercise. It is estimated that being either underweight or overweight causes a significant percentage of infertility issues. Having too many or too few fat cells affects the amount of estrogen in the body, which which in turn affects fertility. Here’s the good news. Simply achieving an ideal weight can help greatly with fertility, and once pregnant can help to achieve a healthy pregnancy. For overweight ladies, losing just 5% to 10% of total body weight can dramatically improve ovulation and pregnancy rates. Male fertility is also affected by being overweight, as they tend to have lower testosterone and increased estrogen levels, which affects sperm production. Polycystic Ovary Syndrome affects as many as 10% of women. 75% of women diagnosed with PCOS are thought to have problems with infertility. Symptoms of PCOS include: irregular, heavy, or no periods; acne; and excessive hair growth on the face and body (hirsutism), unexplained fatigue; low blood sugar (hypoglycemia) after meals; lightheadedness; sweating; intense carbohydrate cravings; mood swings; hot flushes; recurrent spontaneous miscarriages. While being overweight often is common in women with PCOS, you can be of normal weight and still have it. A healthy eating plan for PCOS includes lowering carbohydrate intake, choosing low glycaemic index foods, having a good intake of healthier protein foods, and adjusting the types of fat in the diet. Women involved in competitive sports (and those who just exercise a lot) sometimes reduce their body fat so much that they stop menstruating. 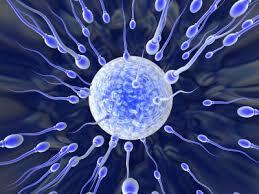 Strenuous exercise, low body weight, and body fat are related to reproductive problems, including infertility. Regular exercise is important for good health and can improve or control many conditions that lead to infertility, including overweight, emotional stress, and PCOS. However, if you take exercise to the extreme and are having trouble conceiving, you may need to slow down. Celiac disease is an autoimmune disease that prevents people from properly digesting gluten, a protein found in wheat, rye, and barley. Research suggests there’s a higher rate of undiagnosed coeliac disease in women having trouble conceiving. Untreated coeliac disease also may be associated with recurrent miscarriage and other pregnancy problems such as low birthweight. Antioxidants play an important role in your fertility. Free radicals can damage the reproductive system and have been correlated with problems of sperm motility, sperm number, and DNA damage in sperm. Free radicals can affect virtually every step in the reproductive process, from egg maturation to pregnancy. Foods rich in antioxidants should be included in your pre conception and pregnancy diet. Fertility treatment can be expensive and emotionally exhausting. Before embarking on the process, it could be wise for women and men trying to conceive to assess their diets and make approprite changes. Registered Dietitians are perfectly placed to help with this.